It is this dichotomy of the film that I felt was its biggest flaw. On the one hand, it seemed to be showing the struggles of the homeless, the shame of falling on such hard times and the difficulty of meeting even the most basic needs of survival, not to mention the heaps of punishment the film deals out to the minor characters. On the other hand, the film seemed to be giving the message that everything turns out fine in the end. The two concepts didn’t mesh well for me. How can you expect me to believe in miracles when every other scene showcases the despondent misery of life on the streets, rooting through garbage for food and facing down the casual cruelty of the more well-off people around them? Early in the film the teenage girl of the group, Miyuki, hides out on a rooftop and spits on the pedestrians below. She’s a bratty stuck-up teen, but after the scene where Gin nearly gets beaten to death by a bunch of bored young men killing time before heading off to a bar with their girlfriends, it’s hard to think that Miyuki’s attitude is unjustified. Is it just cynical of me to think that despite the happy ending of the film, nothing actually got solved? The kind of cruelty heaped upon the characters isn’t going to stop just because they found a better life at the end of the film. That cruelty will just be heaped upon another bunch of homeless people who weren’t so lucky. I suppose the film could have been trying to say that there is both joy as well as misery in the world, but that’s not how it felt to me. It seemed more like it was sweeping all the unaddressed suffering under the rug. To me, the inclusion of all the negative aspects of life only made the ending of the film seem shallow and empty. All right I’ve gone on long enough about how the themes of this film didn’t resonate with me. 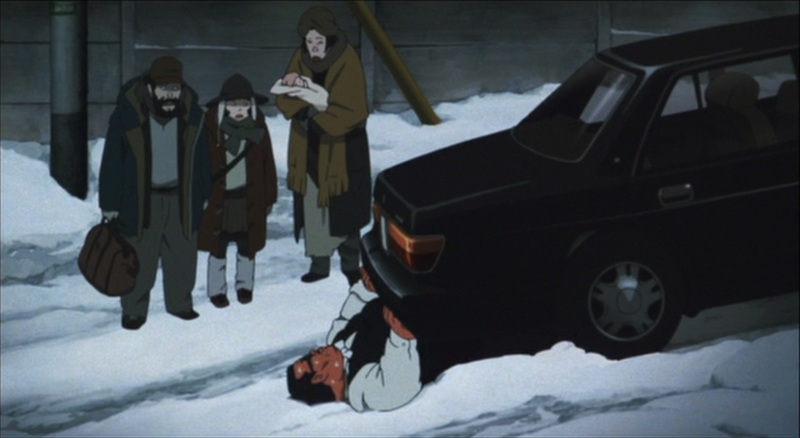 Now how about I mention how well the film is made, because like all the other films of Satoshi Kon’s I can’t really find anything to fault with the production. It’s a very well-directed film with plenty of touching moments that bring the characters to life, and it has an equal amount of goofy out-of-nowhere humor that is unexplained and bewildering. I suppose my favorite moment was the ambulance that crashed into a storefront without any warning, followed by the driver staggering out and asking the people nearby to call an ambulance. (Never let it be said that I don’t appreciate some dark humor.) 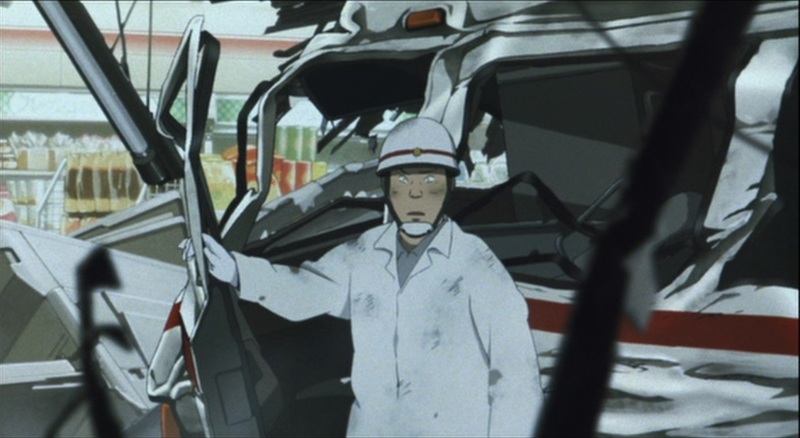 What actually happens to that ambulance is left for the audience to decide (which is just one example of how the film ignores the tragedies it presents, but I promised to stop ranting about that). The film also has a huge reliance on absurd coincidence. 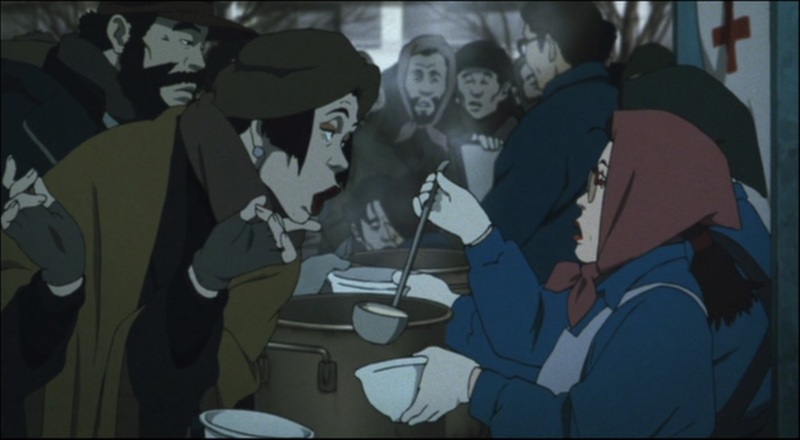 Normally this might wreck the plot’s credibility, but in Tokyo Godfathers it reaches a point that transcends cheap plot fix. Whether it is the preponderance of girls named Kiyoko or the number of times they run into important situations, nearly every event in the film relies on the kind of ludicrous coincidences that would ruin any normal movie. But here, they only enhance the absurdity of the plot, which bounces from debt-laden prostitutes, to mob boss assassinations, to child abductions. (Has it sunk in yet that this film is rather depressing?) The whole film is so over the top that even Sylvester Stallone would think it’s gone a little too far. 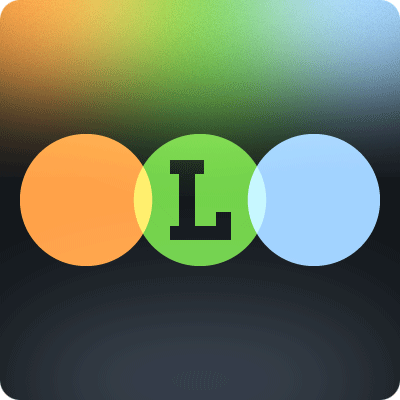 To me, however, this was a lifesaver for the movie. The mundane premise had left me rather underwhelmed at first, but then the ludicrous events just kept piling up, and it was impossible not to get caught up in the ever-growing madness of the plot. Despite all my raving about thematic concerns, the film has a mountain of sympathy for its heroes. And as I grew to know them and how they came to their current state, I began to root for them all the way, cheering their successes and hoping it all turned out OK for them. There’s still a great sense of satisfaction to see that Christmas miracle that turns their lives around. So even though there are still a ton of miserable homeless people out on the street getting ridiculed and beaten, and despite all the tragedies of the other characters which never come close to being resolved, the film still managed to leave me smiling in the end. 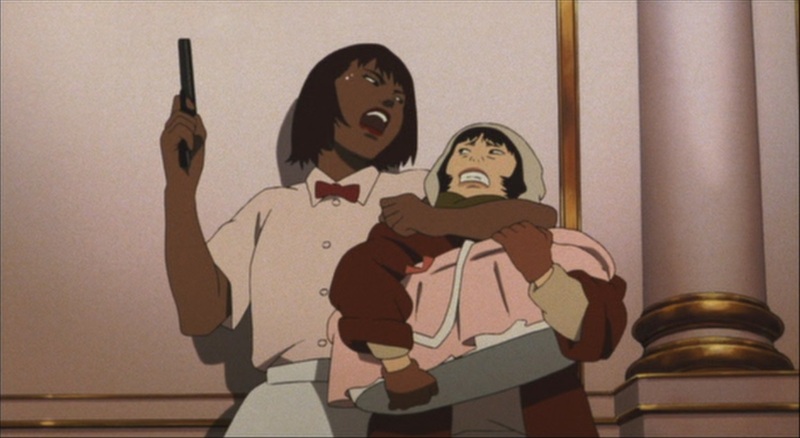 So far I have to call this the weakest of Satoshi Kon’s films, but considering that his first two were damn near perfect, that’s not a huge insult. I miss the surreal incomprehensible nature of Kon’s other works, and I wish the thematic content was better realized. 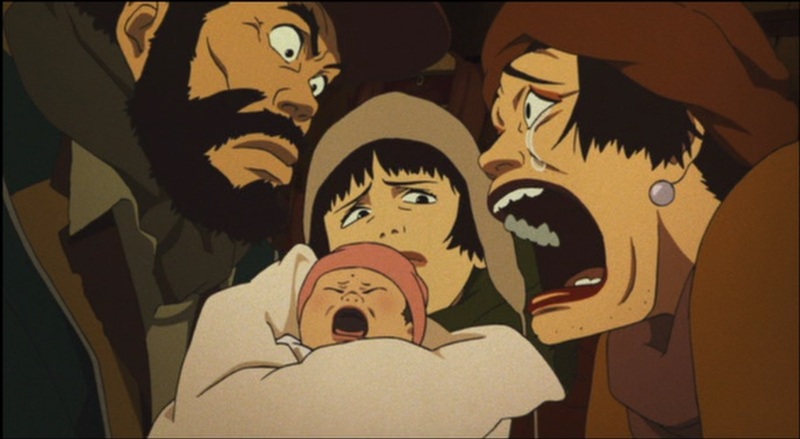 But I still had fun with Tokyo Godfathers, and it does have a lot of good content and a lot of good characters well worth checking out. I just have to think of it solely in terms of a simple zany comedy, because whenever I try to think of it in terms of its deeper meaning it only makes me irritated. « Box of Dread — September 2014 Unboxing Video! Saw this many years ago but really liked it. Only thing I remember is that it was a very funny film. Well, it certainly has a lot of funny moments, but so much of it is a dark humor that doesn’t seem right for a happy, Christmas themed movie.